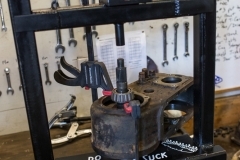 With my new dana300 finally sitting on the floor of my shop it was time to get working on it. 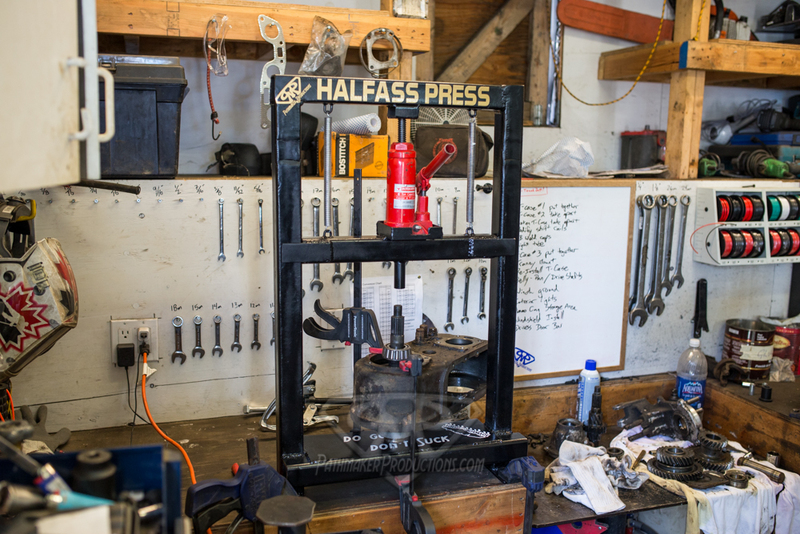 But since nothing in my life is easy I figured I’d build a new press out of scrap I had laying around to help me with building my transfer case. 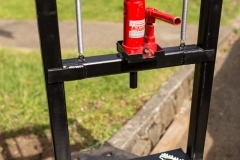 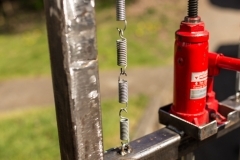 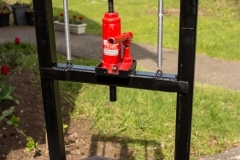 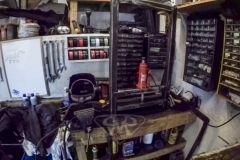 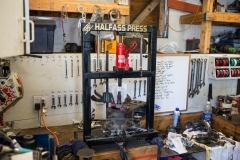 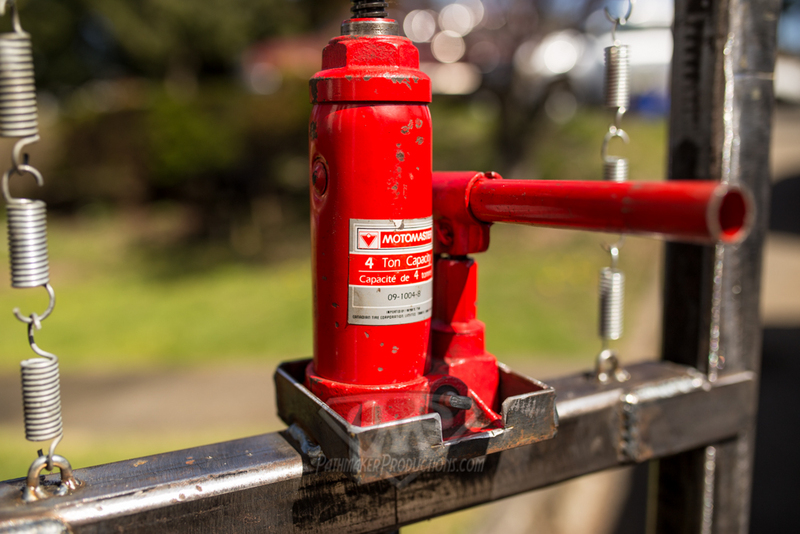 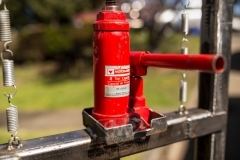 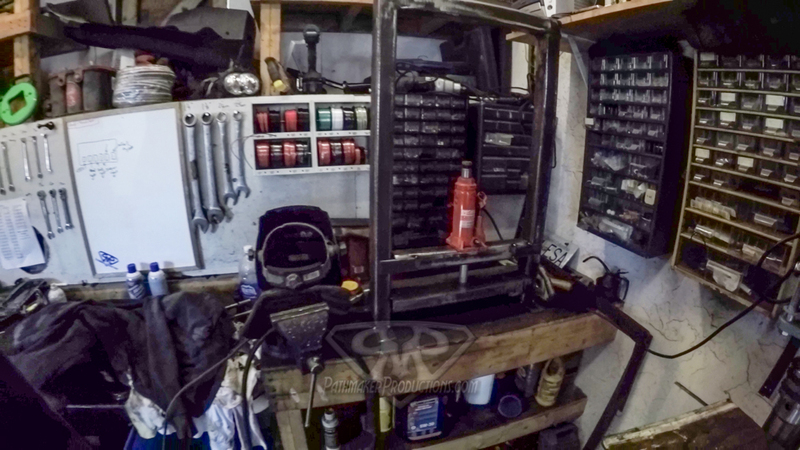 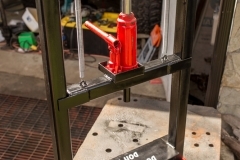 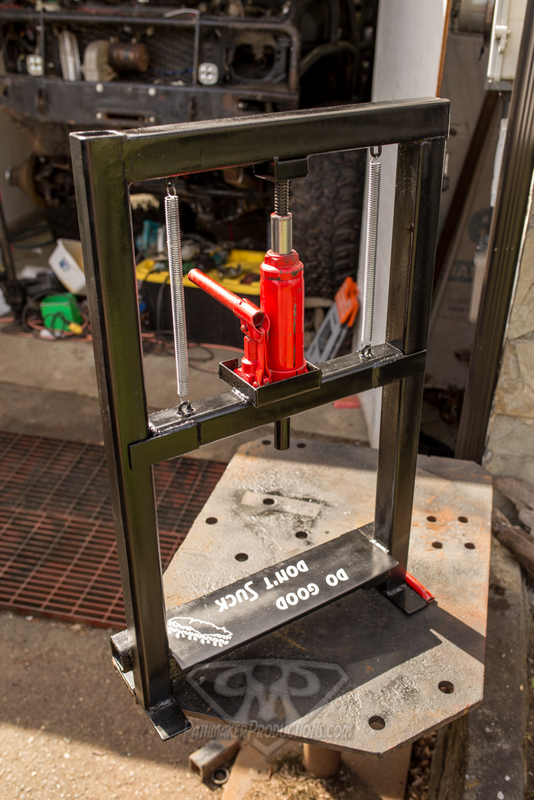 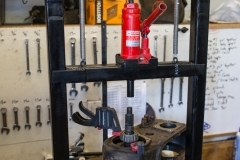 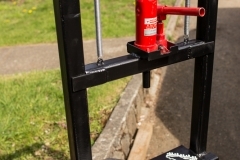 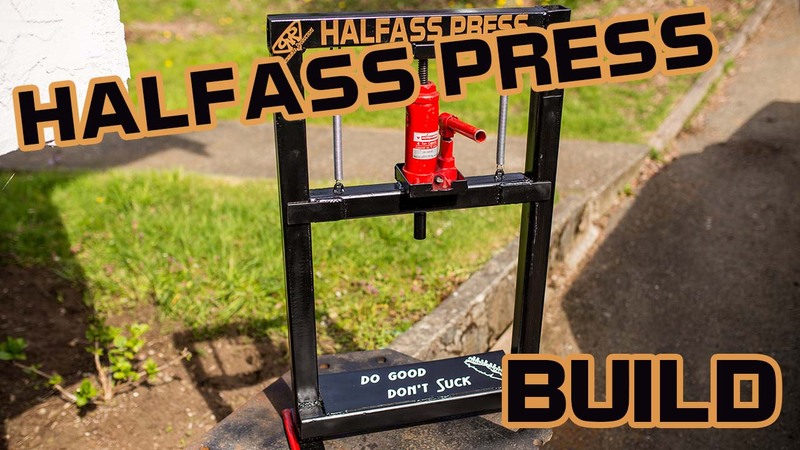 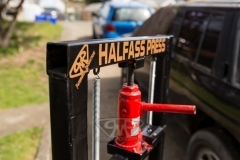 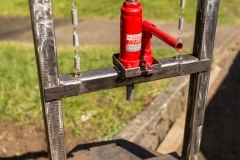 Having re-built my d300 5 different times now, doing it halfass every time, I decided it was time to build a halfass press to help with my halfass install. 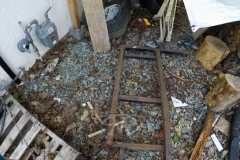 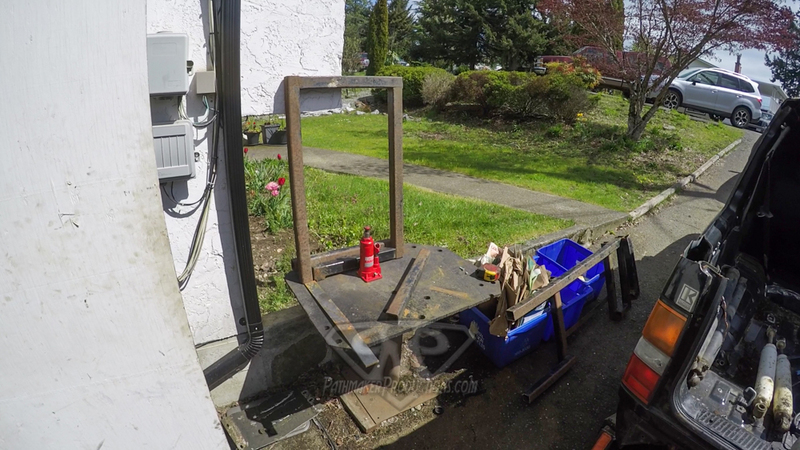 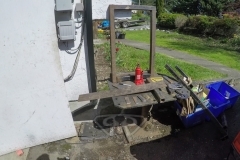 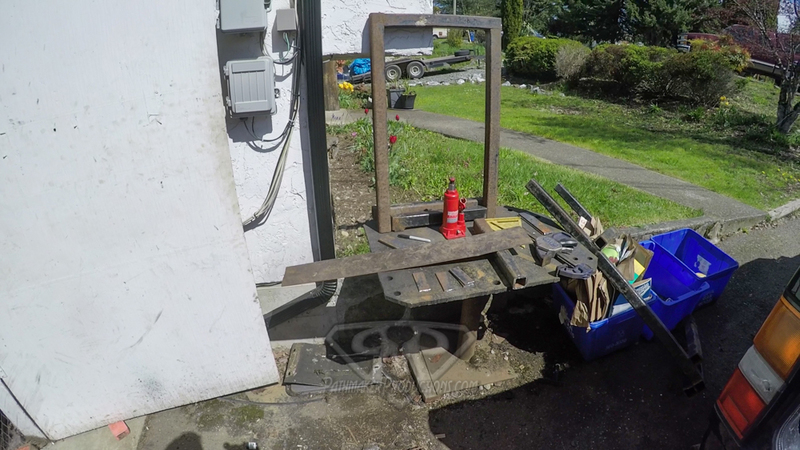 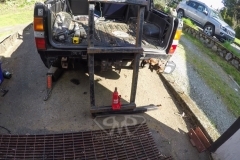 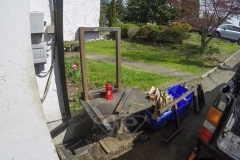 Having an abundance of scrap steel around, as well as randomly finding an old 4ton bottle jack in my shop it looked like I had almost everything I’d need. 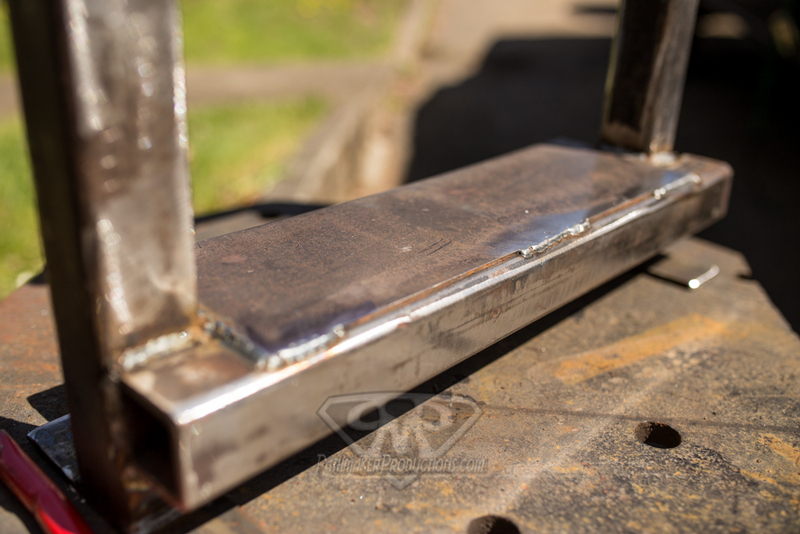 First step was a trip over to the old tarp garage to grab the piece of square tube that I was thinking of making the frame out of. 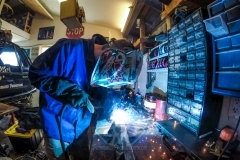 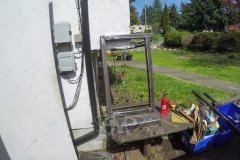 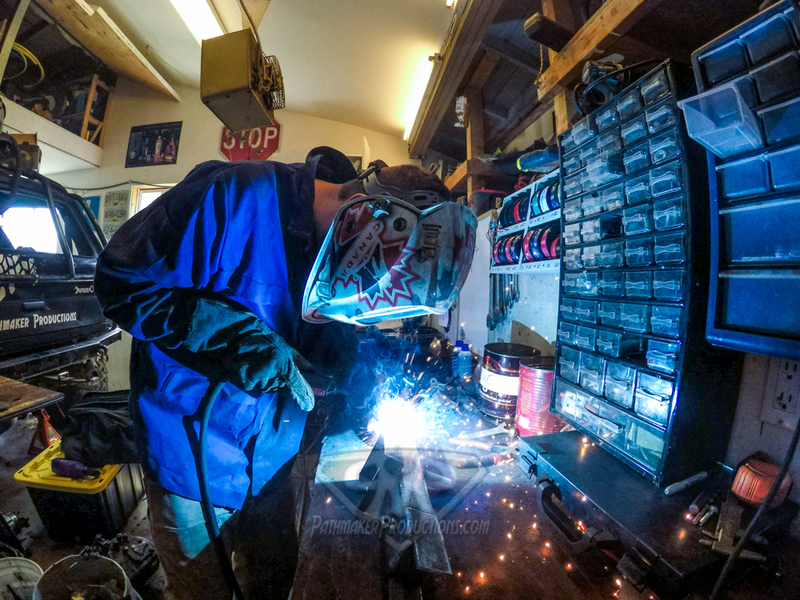 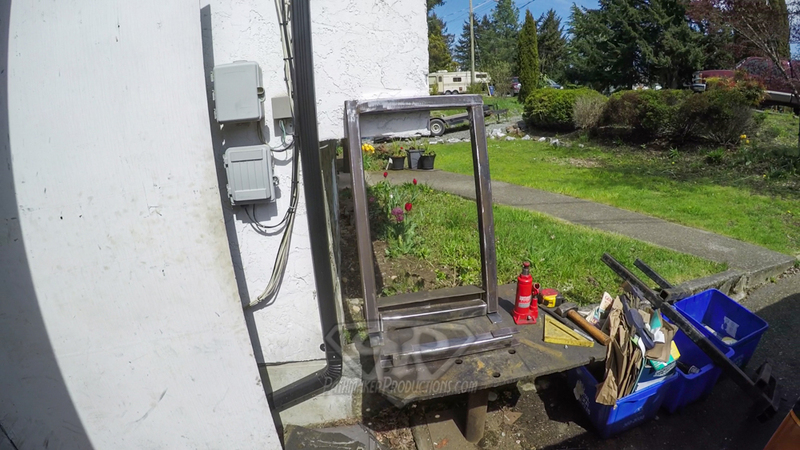 Working on a plan as I went, I pulled out the angle grinder and started cutting pieces of scrap steel. 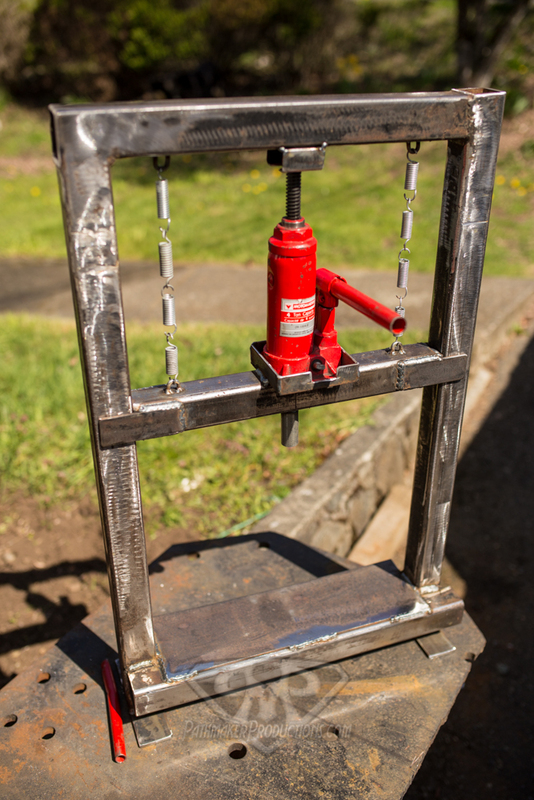 I knew the basic idea of what I wanted, time to make sparks. 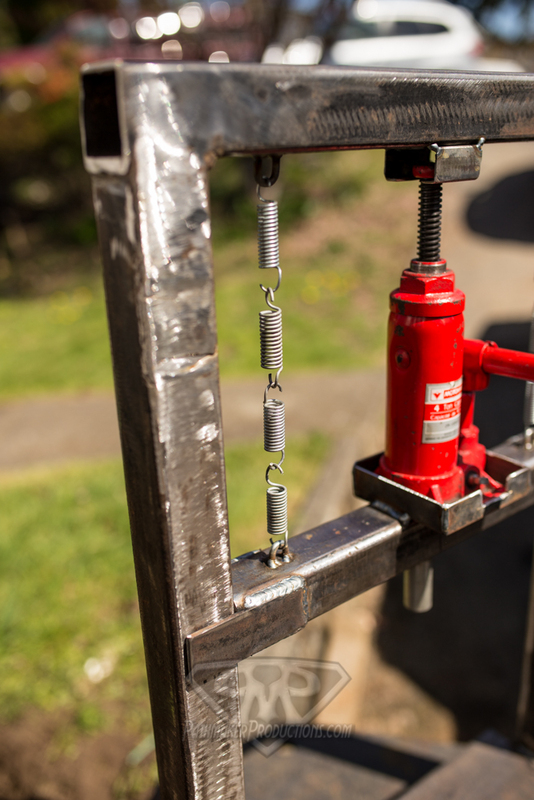 Scrounging up a few random springs I got the press to work. 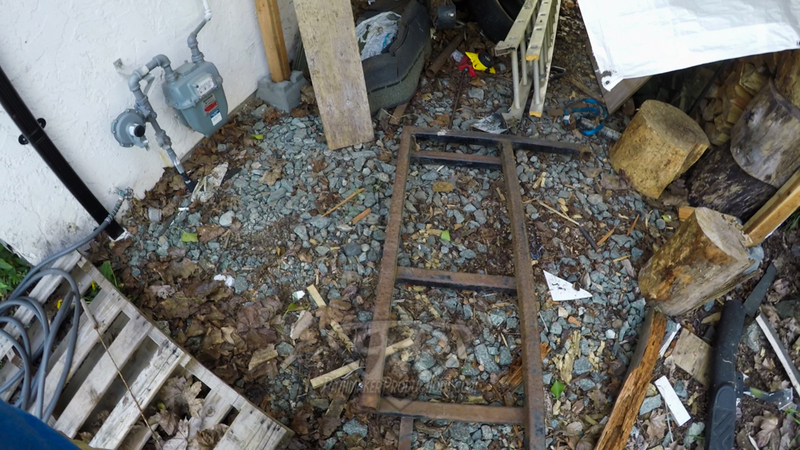 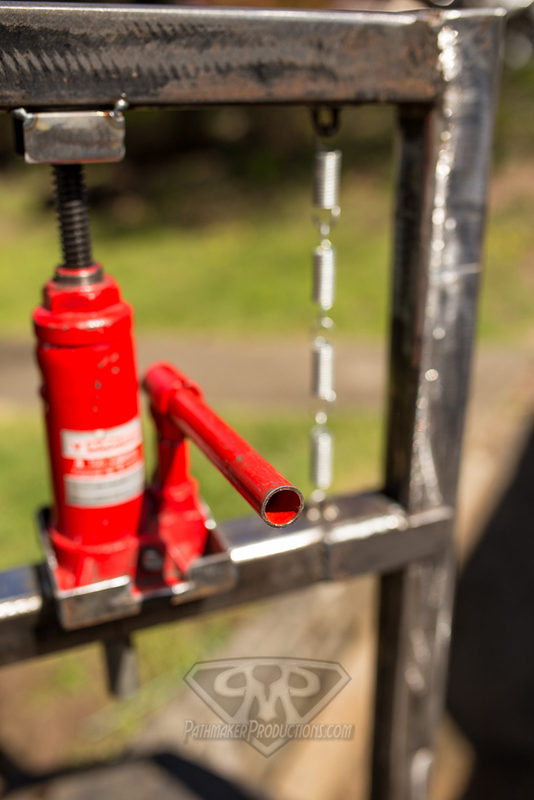 After a few sketchy full pulls I figure I should probably just go buy a few 8″ long springs. 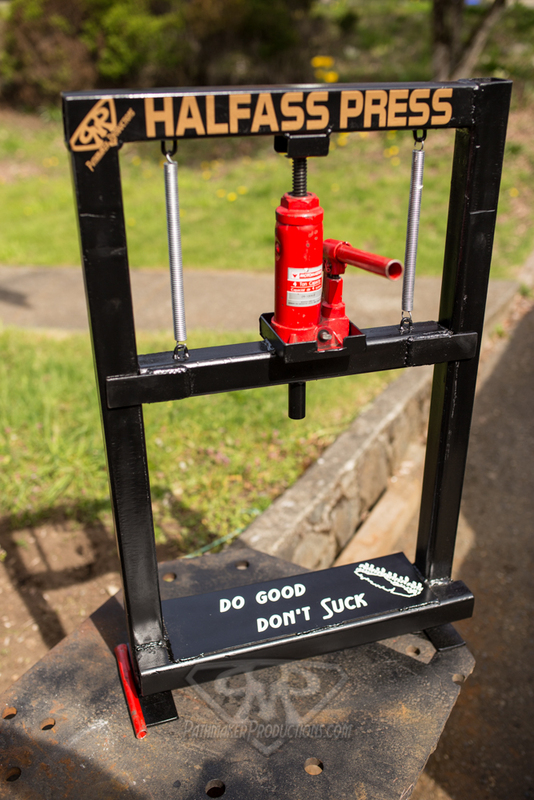 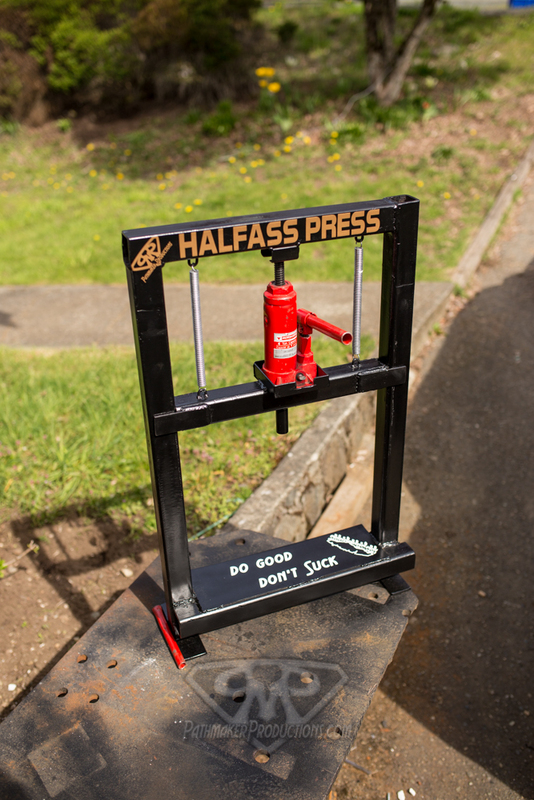 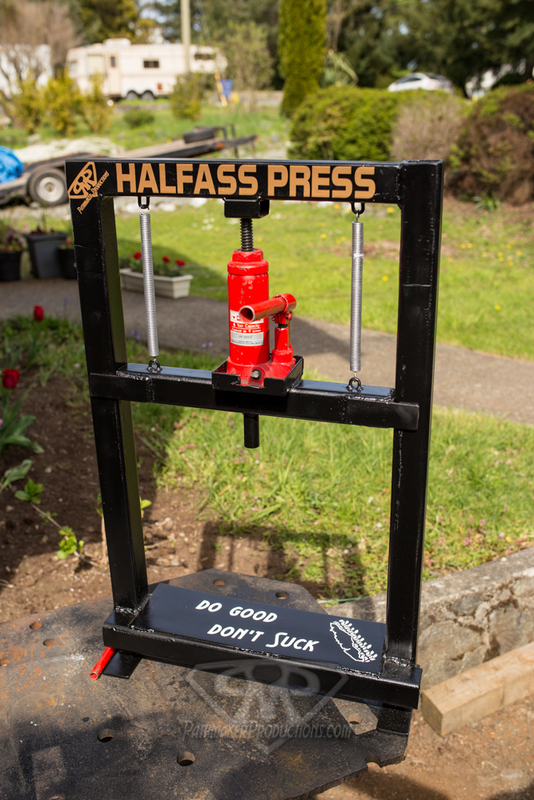 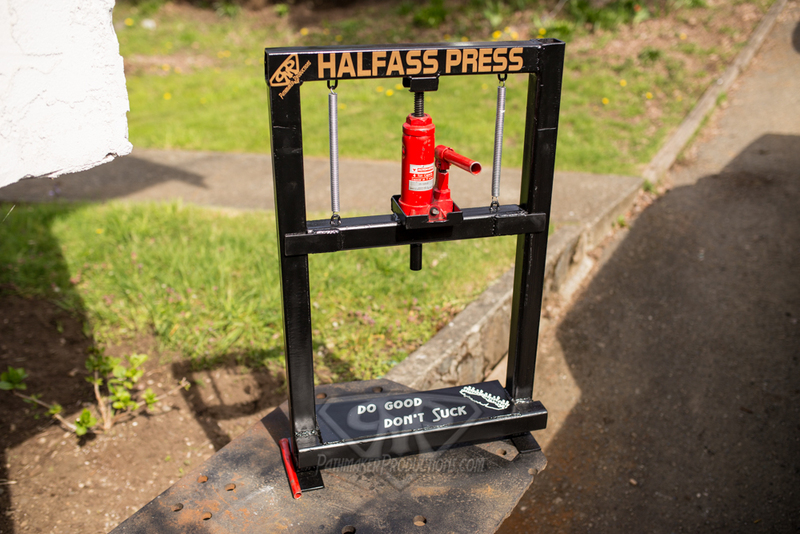 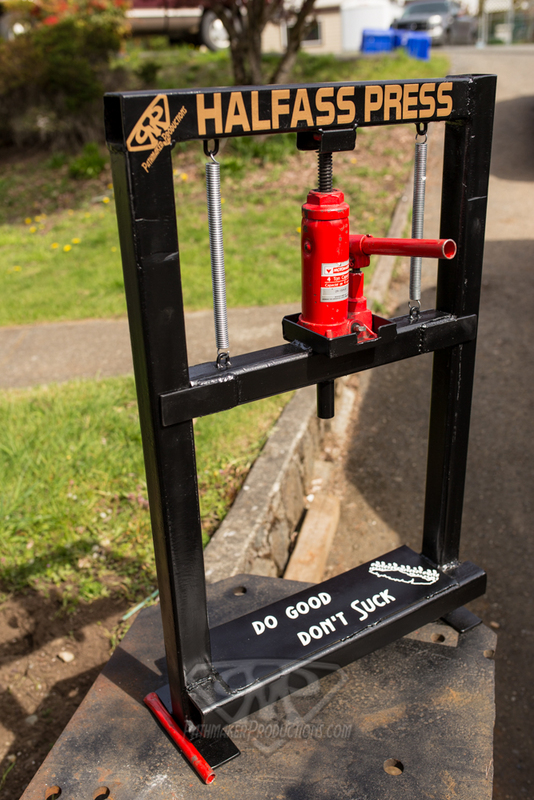 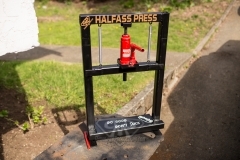 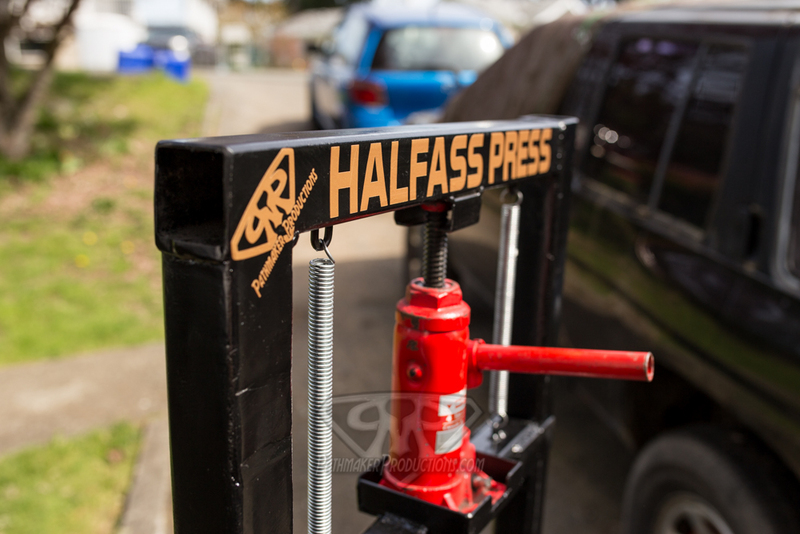 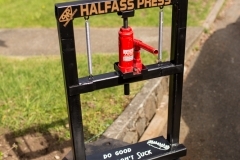 Quick coat of paint and some custom decals from the decal machine and this halfass press is ready to go! 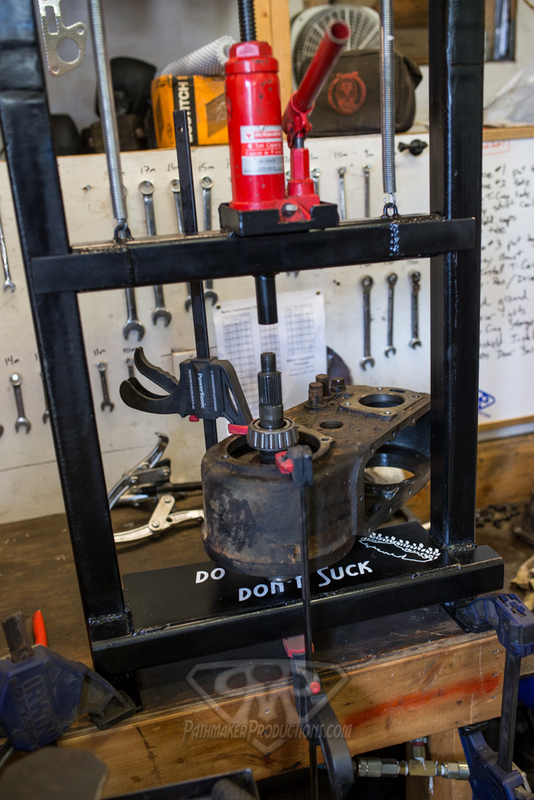 And as soon as the paint was dry I was putting it to work on rebuilding my dana300 and I can say it works pretty good. 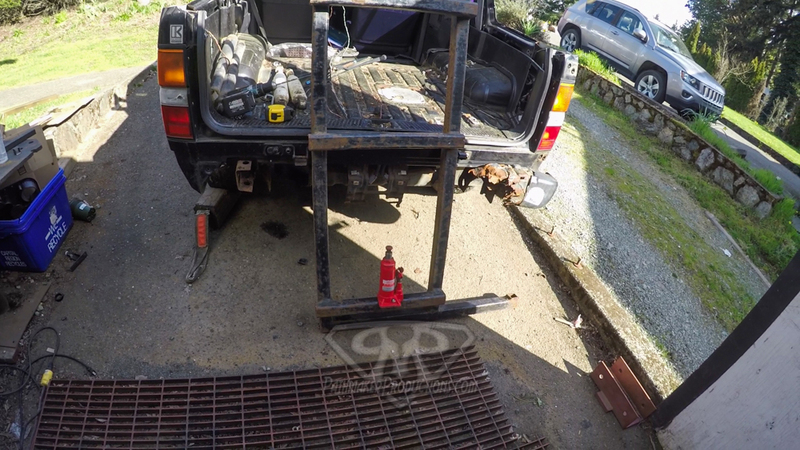 Its not perfect, but the only cost was $18 for the 2 springs, everything else was shop scrap. 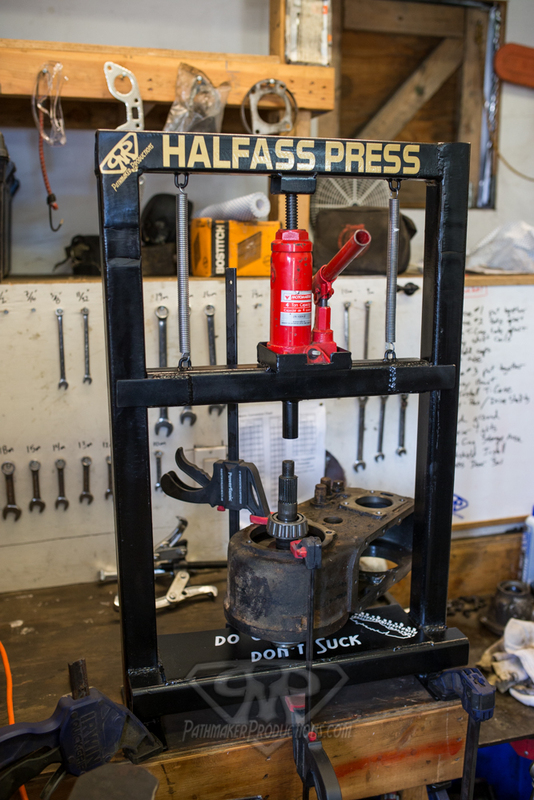 I could have made and adjustable base, but I wanted it to be benchtop as I don’t have room in my shop for a full stand up press.